(VEN) - Verisign just released its Q2 2018 DDoS Trends Report, which represents a unique view into the attack trends unfolding online, through observations and insights derived from distributed denial of service (DDoS) attack mitigations enacted on behalf of customers of Verisign DDoS Protection Services. 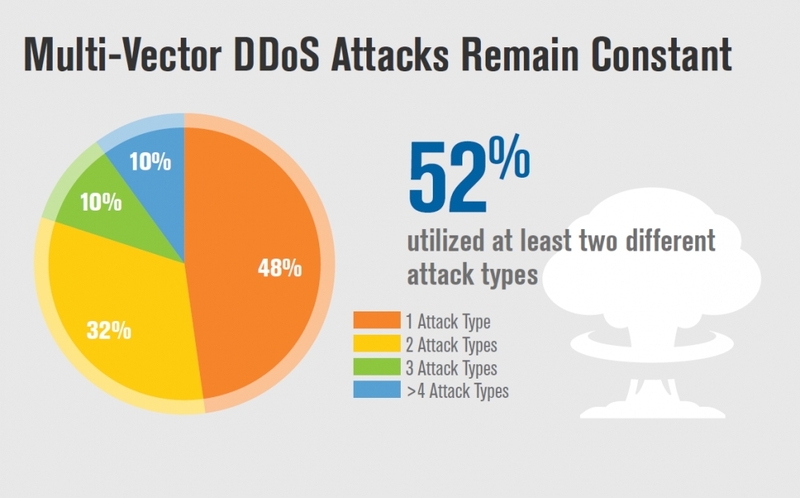 Verisign observed that 52 percent of DDoS attacks that were mitigated in Q2 2018 employed multiple attack types. There was a 35 percent increase in the number of attacks, with a 49 percent decrease in the average of attack peak sizes, when compared to Q1 2018. However, the average of attack peak sizes has increased by 111 percent, year over year. The largest volumetric DDoS attack observed by Verisign in Q2 2018 was a User Datagram Protocol (UDP) fragment flood that peaked at approximately 42 Gigabits per second (Gbps) and 3.5 Million packets per second (Mpps) and lasted approximately 3 hours. The highest intensity DDoS attack observed by Verisign in Q2 2018 was a multi-vector attack that peaked at approximately 38 Gbps and 4.7 Mpps and lasted for approximately 2 hours. 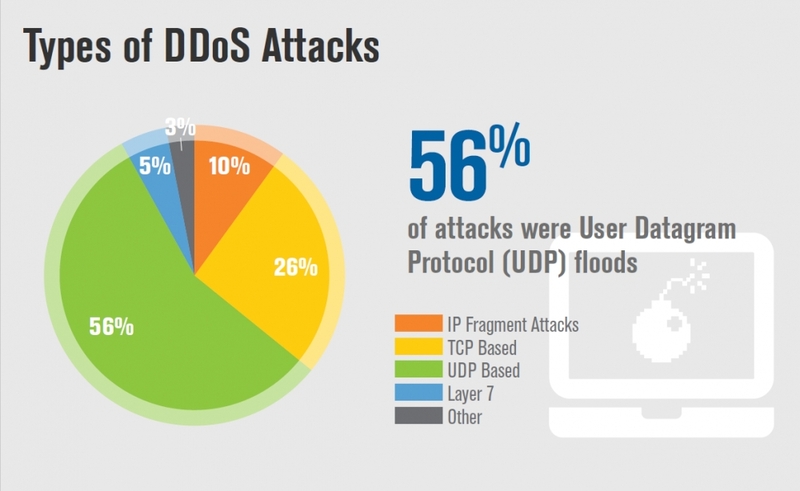 56 percent of DDoS attacks were UDP floods. TCP-based attacks were the second most common attack vector, making up 26 percent of attack types in the quarter. The financial services industry, representing 43 percent of mitigation activity, was the most frequently targeted industry for Q2 2018. 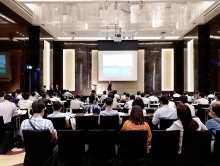 The IT services/cloud/SaaS industry experienced the second highest number of DDoS attacks, representing 37 percent of mitigation activity, followed by the media and entertainment industry, representing 20 percent of mitigation activity.